Late yesterday a brand new image hit my inbox. That being the news that there is a new vehicle in town. That being ECTO-2. The newest member of the Ghostbusters family. What does it show? 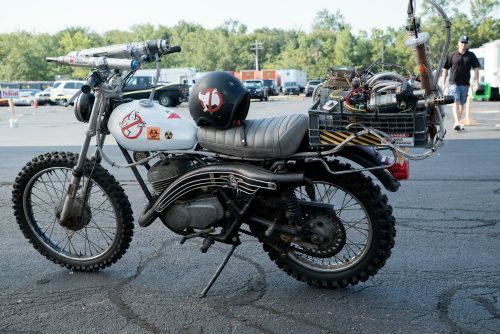 Well, the old ECTO-1 seems to be needing some help to get around. I’m sure that some ghostbuster fans. The ones that are still recovering from the fact that this set has breasts. Sorry, they are wimmin! Thee are the ones who will be disgusted and telling everyone on twitter who don’t give a flying fish about that!